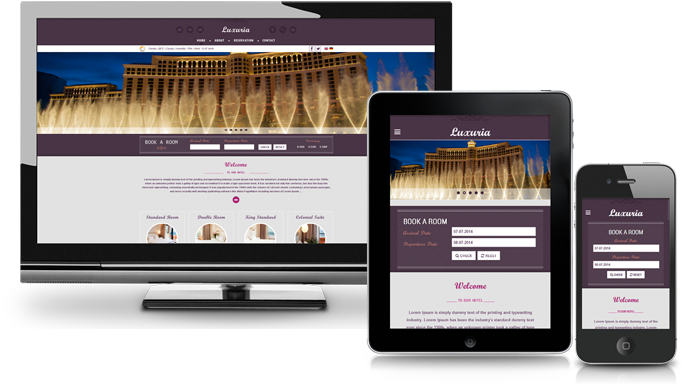 Like our previous Joomla templates 7Start and BlueBee, Luxuria is developed specifically for Solidres but it has more features and enhancements. 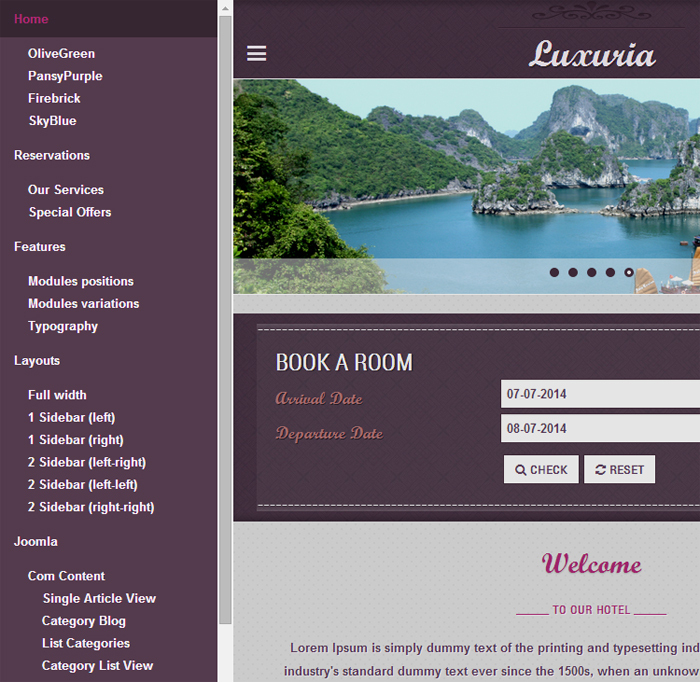 Luxuria is the first template that has full support for our HUB plugin. There are also 2 separated Quickstart packages for Hub and Bundle subscriber to get started quickly. Always looks great no matter what devices your guest uses. Luxuria is powered by latest Warp framework 7 with LESS support. Easy to navigate even in small screen devices. 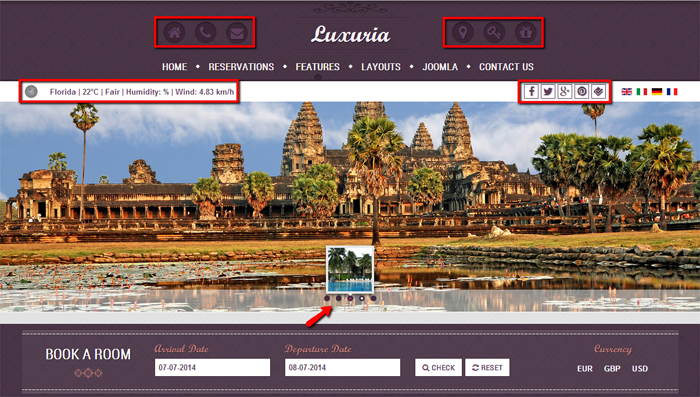 Luxuria comes with a full width slideshow, utility icons for easier access to website’s info, social icons to connect with your customer and a weather module. Map module is showed in a toggle effect just like Bluebee. In addition to mod_sr_roomtypes, we’ve developed new mod_sr_assets (for Hub subscribers) to be used in front end templates. With our new mod_sr_coupons and mod_sr_extras, you can now showcase your Coupons and Extras dynamically in your front end templates. New User plugin: once this plugin is installed and enabled, guests can register an account with your site while making reservation. Then next time they just log in and their info will be pre-populated for them, making reservation process faster and more convenient. 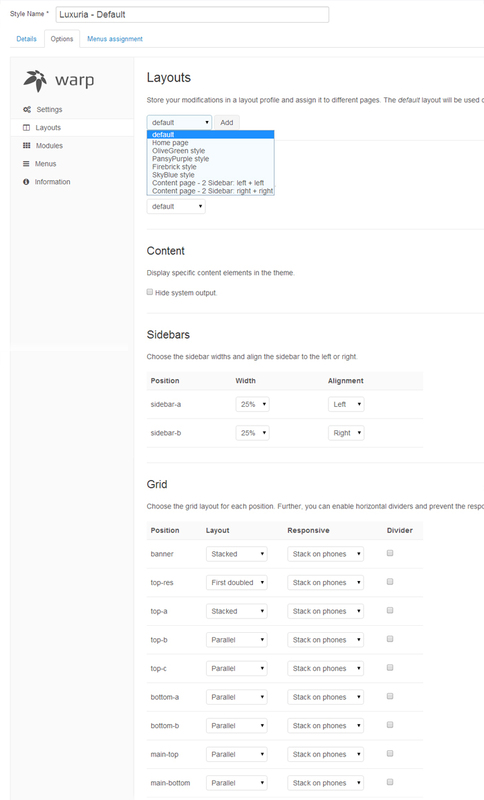 Responsive email templates: all email templates in Solides are now responsive and more professional. Use Joomla’s JLayout for all reservation forms (steps 1,2,3) as well as in emails/invoice templates instead of hard code in the controller or in external templates files like previous versions. This feature makes it super easy to make a template override for those forms/emails template/invoice templates. New parameter to allow choosing between currency code and symbol to be used in displaying prices. New option to disable/enable coupon feature. Add new field VAT in reservation step 2. Add ability to link a room type from module room types to the asset’s page through anchor link. 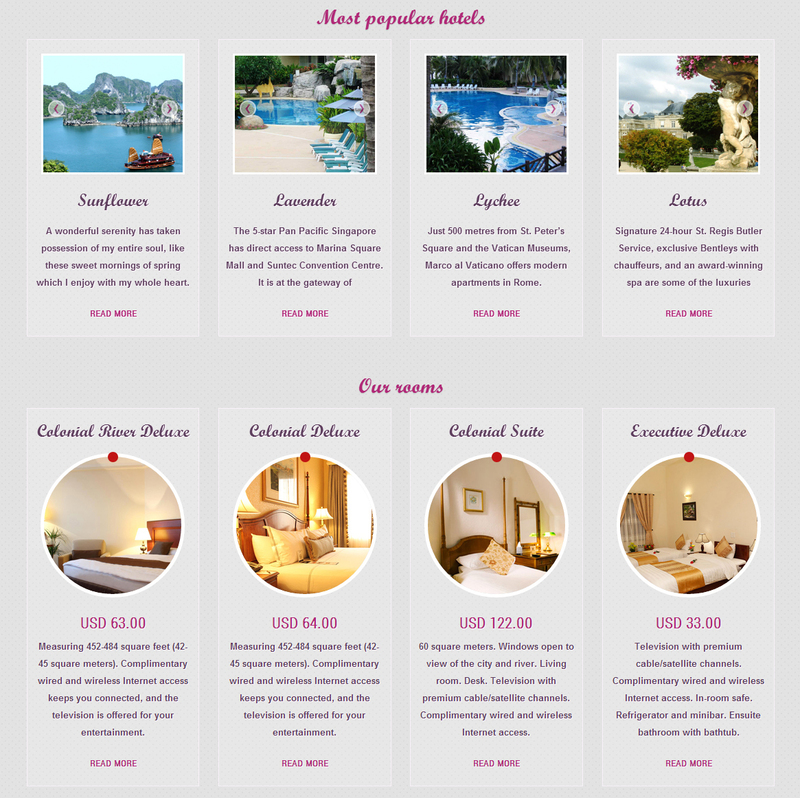 Add extra description in a bootstrap popover in front end to provide guest more information about each extra item. Add CSS class for days in the past in availability calendar. Add logo field for asset. This logo will be used for email and invoice templates. Add new fields for extra item: article and image. Those new fields are used in our new mod_sr_extras to showcase your extra items in frontend. Add new fields for coupon item: article and image. Those new fields are used in our new mod_sr_coupons to showcase your coupons in frontend. Make datepicker shows inline to be compatible with mobile devices. Add new option to configure date format for the whole system. Send email to the asset’s partner after a new reservation is made: this feature requires User plugin. Add carousel effect to showcase room type’s photos. Add more useful info into post-installation screen. Show popover by click, not by hover so that it can work nicely with mobile devices. Add it-IT, pt-BR, el-GR, ru-RU translations into Solidres 0.7.0 package. Custom payment methods name not showed in email/invoice templates. Make tariffs a required fields to prevent front end error when no tariffs are defined. Add total cost of extras into email templates. Fix PHP fatal error when no asset is selected for menu type “Show a single reservation asset”. Fix PHP notice message related to Paypal plugin. Fix date picker broken with Google Translate. Fix room type name and extra name are not translated by Falang in email template and reservation edit screen. Force currency formation option in email/invoice templates to follow global options. Fix PHP notice message related to saving room preferences. Fix issue when Falang translation page is too wide. Fix issue when creating new room type with no rooms. Fix deleting asset failed because of limit booking plugin. Google Maps brokens when HTTPS is enabled. Auto scroll to Joomla system message when it shows up. Latest Warp 7 with LESS compiler. Different quickstart package for Bundle and Hub subscribers. New modules for Bundle subscriber: mod_sr_coupons and mod_sr_extras. New module for Hub subscriber: mod_sr_assets. Support for AcyMailing and Freestyle Testimonials extensions. Add support for multiple tariffs feature. Add carousel effect to show case asset’s photos in search results page. Fix issue when table for Theme feature is not removed during uninstallation. Improve compatibility with 3rd templates. Change value of field valid to according to field valid from when add/edit tariff. Make price input field as required. Improve layout, make it more responsive. Add de-De, es-ES, it-IT translation in addition to the default en-GB. Separate Invoice library with Solidres to make update process easier. Remove unused fonts to reduce plugin’s size. Use Solidres’s date format for invoice template. Fix issue when font can be not set correctly. Now trashed and cancelled reservation are not taken into calculation. Add carousel effect to show case room type’s photos. Add option to configure number of item per row. This module is similar to module room types but for showing assets, this is used with Hub plugin. Features: showing photos in carousel or circle slider effect. Showing assets from a predefined location or list of asset’s id. Option to configure number of item per room, total items, show random and display type (grid|list). 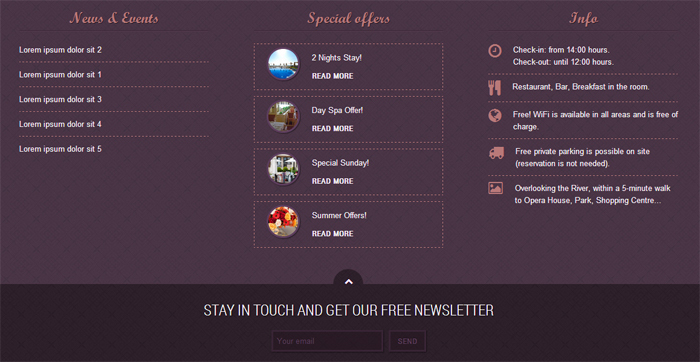 This module is is used to show coupons in front end. This module is used to show extra items in front end. Download 0.7.0 and install using Joomla Extension Installer, it will automatically update your old version. Or you can update using the built-in Joomla Updater. If you are subscribers, make sure all plugins/modules are compatible with 0.7.0 by installing latest versions of them.